Okay, so maybe my title is a little misleading. I am not really thankful for zombies. But I am thankful for the photo editing website that has allowed me to be zombie like during the Halloween season! 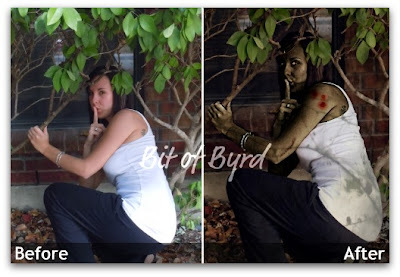 I use Picnik for all my blog and personal photo editing needs. I do have the premium version. A lot of the tools are part of the basic program but since I use it so much I like not being limited. Seems the ones I like the very most are always the premium features. So what do I really use Picnik for? I used it to create my buttons. I use it to watermark and resize all my pictures. I even used it to create my new banner logo for my blog. I have used it to create some of the collages I have put in blogs and I also used it when photo editing pictures I took at a wedding. Most recently, it has been all about zombies and spooky! 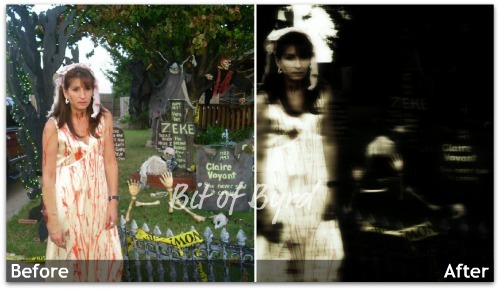 That is one of the pictures Picnik shows to display what you can do. Spooky uh! 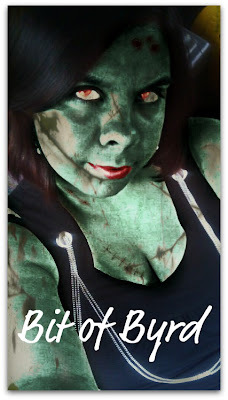 So I decided I needed to be a Zombie! Someone actually asked me if I did a photo shoot and if it was all paint. Oh goodness, no! Others asked to be zombies too. I thought I would show you some before and afters so you can see what Picnik can do. 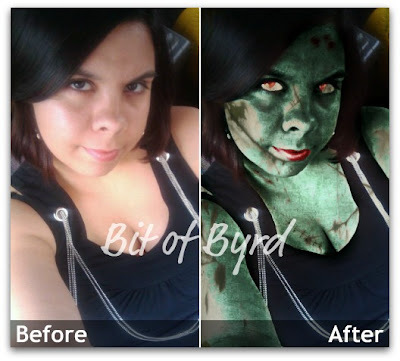 Maybe you don't want to be a zombie... Picnik does a great job with regular pictures too..
That is a picture of a picture. You can tell how old and faded it was. You would have think I scanned it in, the color is so much better! So today... I am happy to have a program that is easy to use and that can do sooo much! I use it all the time and I have no regrets in signing up for premium at all! It is great to remember the little things in life that make you happy more regularly than only in November! Each week write a post on something you are thankful for (and why) and then check the posts of your fellow blog hop members to comment on and share their posts as well. Need inspiration? Check out past Thankful Thursday posts. To join, simply enter your link information below and copy the code to your own Thankful Thursday blog hop posts. Don’t forget to follow me on Twitter for retweets on #ThankfulThursday and grow your readershp. Add your link below and don't forget to copy and paste the code to add to your Thankful Thursday blog hop posts. Disclosure:: There are no affiliate links in this post. This post was not sponsored or endorsed by Picnik. I am simply sharing a product I love.